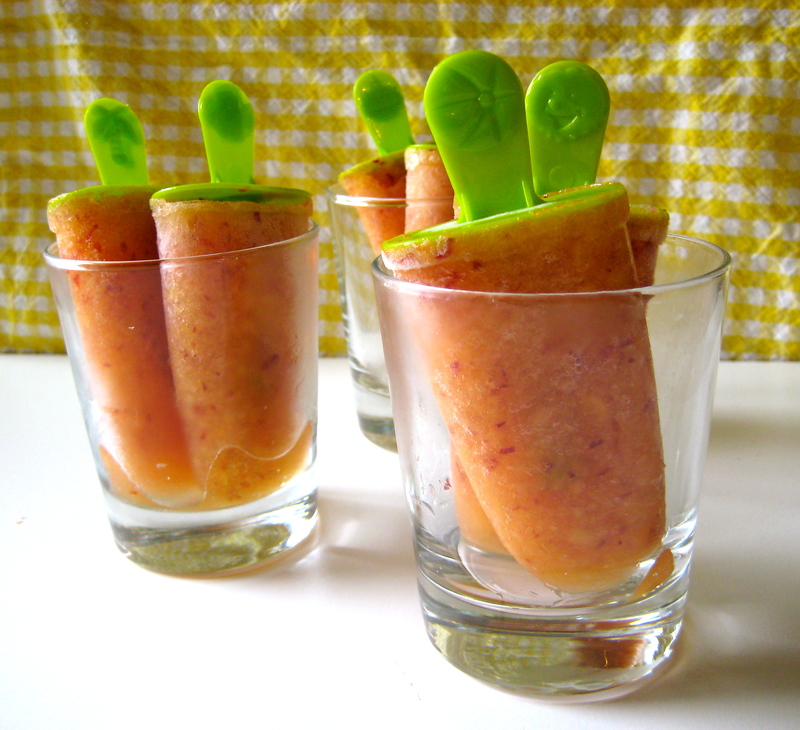 Essentially, you can pour anything into a mold and chill it to popsicle perfection. Pureed fruit? Sure. Pudding? Definitely. Your morning smoothie? Why not? Heck, you could even make ‘em savory and pour in a tomato-basil gazpacho. Here, these adults-only ‘sicles have a hint of bubbles, a splash of wine, and juicy peaches, giving you refreshing and sweet alternative for that hot afternoon sun. Put the wine, club soda, peaches, and salt in a food processor or blender. Process until combined, leaving small pieces of peaches throughout the mixture for some texture. Add the agave nectar to taste, depending on the sweetness of the peaches. Choose a wine that you enjoy the taste of, since it will be prominent in the flavor of the pops. For a list of vegan wines, check out barnivore.com. I’m partial to local Niagara wines, but of course, get what you love.